HOW Many Times Did The Beatles Play There?! is two-hundred-and-ninety-two times (although that was disputed by Barry Miles in his book, The Beatles Diary Volume 1: The Beatles Years, as states that it was two-hundred-and-seventy-five times) but, rather than count off all of The Beatles’ gigs at The Cavern Club, it is worth looking at the venue and how it has managed to survive for so many years. Today marks sixty-two years since The Cavern Club opened its doors. I have been watching a series on Amazon called The Marvelous Mrs. Maisel - which is set in New York during the late-1950s. It is a series about a female comic who comes from a Jewish family and fights for acceptance from her family, the public and her peers. It is a great series and, rather than being a random detour, it makes me wonder whether the first days of The Cavern Club were like that in 1957! In the series, the sets are wonderfully colourful and kitsch; they are escapist and we are opened to this beautiful and classic world. Maybe the 1957-Liverpoool was a bit different but The Cavern Club started life as a Jazz club and would become the epicentre of the Rock and Roll scene in Liverpool. Although the venue closed and opened in a new site in March 1973; excavated and reopened on 26th April, 1984 - having to go through another turbulent move - it is a vital landmark and crucial space. Consider the fact The Beatles played the space almost three-hundred times! How many young artists play a venue that many times in their career?! There are few good shots of The Beatles playing in the early days but you can tell how comfortable and alive they are on that stage. The Cavern Club is a bit of a small venue but it is that intimacy and sense of confine that, for a start, provide a small yet passionate crowd and means you get that closeness with the band. When Alan Sytner opened the club, could he have imagined his replication of a Parisian Jazz club would transform into this iconic venue? It is a huge tourist landmark today and so many people from around the world are keen to almost embark on a pilgrimage to this canonised site. Although that idea for a Jazz club would not last long – maybe not the same cultural ambitions in Liverpool compared to Paris! – Skiffle groups found this great space that suited them and it sort of grew from them. The first big/promising band to play at The Cavern Club was The Quarrymen. It is said that whilst playing golf with with Sytner’s father, Dr. Joseph Sytner, Nigel Walley asked is his son could book The Quarrymen to play. He obliged but wanted to see them play the golf club first – impressed by their turn he said they could play a Skiffle set between two Jazz groups at The Cavern Club. It is like Midge Maisel going to The Gaslight Café in The Marvelous Mrs. Maisel where the bookers put her on between two musicians/novelty acts. I shall drop the T.V. analogy but the first show by The Quarrymen on 7th August, 1957 was a big deal. The band was not sure of the songs/styles they should play. The band were asked to play Skiffle but a young John Lennon broke rank and asked his band to play an Elvis Presley song. They were told the crowd would rebel and a note was handed to Lennon to cut the Rock and Roll – even then, there was this genius and spark on the stage! Paul McCartney’s first show at the club was with The Quarrymen on 24th January, 1958 (and George Harrison would play there three years later). The tone of the early-1960s was a bit of Skiffle, Blues and Beat. It was on Thursday, 9th February, 1961 when The Beatles first took to the stage. Although countless other artists have played The Cavern Club, we associate the space with The Beatles and helping them cut their teeth. They played their debut gig there following a return from Hamburg. The legendary group would play two-hundred-and-ninety-two times at The Cavern Club and who knows whether The Beatles would have been as strong and thrilling were it not for that experience?! They would soon explode and become this world-famous band and their last set was on 3rd August, 1963. In that two-and-a-bit-years period, it is amazing to think they played so many times at The Cavern Club! It was clear the Liverpool venue could not cope with the demand that was coming from screaming fans in 1963. Who can guess what would have happened if The Beatles continued to play in 1963?! I can only imagine people would have been breaking the door down and it would have been carnage! One can trace an interest in northern music to the days of The Beatles playing at The Cavern Club. Certainty, more eyes were coming the way of Liverpool and people were traveling from the capital to see bands like The Beatles play. The reputation of The Cavern Club grew and, before long, local bands like The Hideaways were performing. They become the club’s resident band and were the last band to play there before its closure. 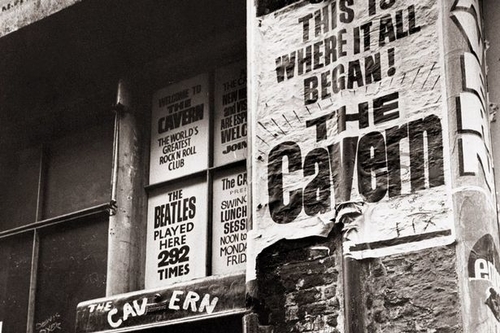 The Hideaways fought to keep The Cavern Club alive and even protest against the authorities. They were the first band back on stage when it reopened in July 1966 and, in fact, they surpassed The Beatles for the most number of appearances there (over four-hundred, would you believe!). The boom and attention The Cavern Club gained through the 1960s brought in bands such as The Rolling Stones, The Hollies; The Kinks and Queen played at The Cavern Club. It became this booming and must-play spot and, from its humble origins as a wannabe Jazz spot, it has blossomed into this hip and varied venue! So many venues are closing today - and the impact is always severe. The Cavern Club was shut in March 1973 and was filled in during the construction of the Merseyside underground rail loop. The club would move to 7 Matthew Street but would not remain as The Cavern Club there – The Revolution Club it became and would be rebranded again. There was talk about excavating the original site but it was deemed impossible due to the damage. Tommy Smith, a Liverpool F.C. player, took over the new club and it lasted until 1989. By 1991, new owners Bill Heckle and Dave Jones reopened the club and still take charge today. The club is fundamentally a live music venue but there is that sense of history and legacy that attracts people from all around the world. 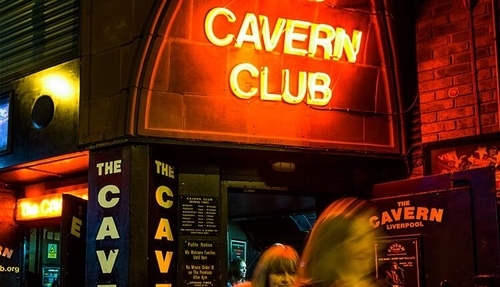 The shaky and uncertain economic prosperity in Liverpool meant keeping The Cavern Club open in its original spot was always likely to pose challenges. The fact the name remains and we can still see the original site should not be overlooked. Sir Paul McCartney played the new site in 1999 and artists such as Jake Bugg used the venue in ensuing years as a warm-up. It is an important live spot in Liverpool for artists, upcoming and big, to get some experience, play in a wonderful spot and vibe from that history. The front room of The Cavern Club is the main tourist draw and people are keen to get their photos snapped. One of the biggest moments for The Cavern Club happened when one of its early draws, Sir Paul McCartney, played a secret gig there. In June of last year, I remember reading the news that a few select people had managed to get into the venue and see this master play somewhere that must have felt like home. He played some classics from his back catalogue but was promoting, too, his Egypt Station album. Macca asked people not to use their phones and just enjoy the gig – most obliged but a few were a bit cheeky. It was a storming gig and strange to see someone who had played there nearly sixty years before come back! It is testament to The Cavern Club’s name and legacy that pulls in these legends! You can check out the venue’s official site and get up/down there for a gig or just have a bit of a day out! Although it is has had a rocky history and had to battle the bulldozer, The Cavern Club remains and brings scores of people in every week. This year, I am sure, will see venues around the nation close and it will be rather sad to see them go. A lot of these venues remain closed and they never get a chance to reopen. The Cavern Club seems like this colossus and stubborn mule that will not be put down and will be around forever.